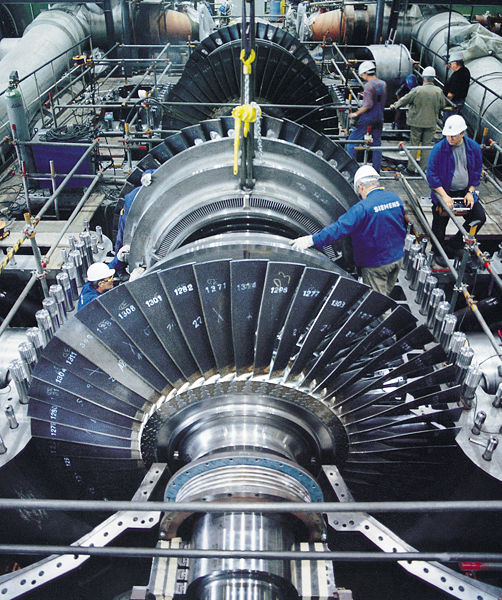 Power Plants: Steam Turbine Project | Kadan Consultants, Inc. When rebuilding steam turbines, it is common to replace older components and use existing assemblies. This presents the challenge of matching new components to the existing assemblies which hava likely been in place for many years and exhibits quite a bit of wear. The accuracy of our Laser Tracker measurement equipment is just stunning. This data can be used to map inlet locations on the outer cylinders. This information can then be used to check deviations from the original print or CAD Models and ultimately check any interference with the new inner cylinders prior to installation. This information can also be used to determine how much cutting or machining is necessary to match the existing outer cylinder to the inner cylinder.